We are inspired architects and designers who navigate the complex issues of the building industry. We design and innovate for clients who demand world-class service. We have provided architectural services for name brands such as Starbucks, Hershey’s Chocolate, Volkswagen, Chevy, Toyota and more. We specialize in designing multi-family buildings for low to high income communities. They have always delivered the projects on time and are very cost competitive. I do not hesitate to strongly recommend Designhaus for your design project. I have hired Designhaus Architecture for numerous personal and business client design projects and have found them to be very creative, courteous and professional. I would recommend them for all design projects big and small. Sirius is exposed to the design industries’ best, and in my opinion, Designhaus Architecture is a world-class firm. It was a pleasure to work with architect Joe Latozas and Designhaus Architecture on having Peer Chiropractic Wellness Center designed. We initially interviewed 9 or 10 different design firms before choosing Designhaus. They were the only ones that really captured what we wanted to convey with our office. Anybody that sets foot in our space have been very vocal about how amazing Peer Chiropractic Wellness Center looks. Thanks Designhaus. Since 2002, I have worked extensively with Designhaus Architecture on my MRI projects. To date, Designhaus has completed five renovations, additions, and relocation of existing, new, and relocated MRI units. I have always been appreciative of Designhaus’ ability to resolve the tough issues, to understand the task at hand, not to mention their attention to detail and design creativity. 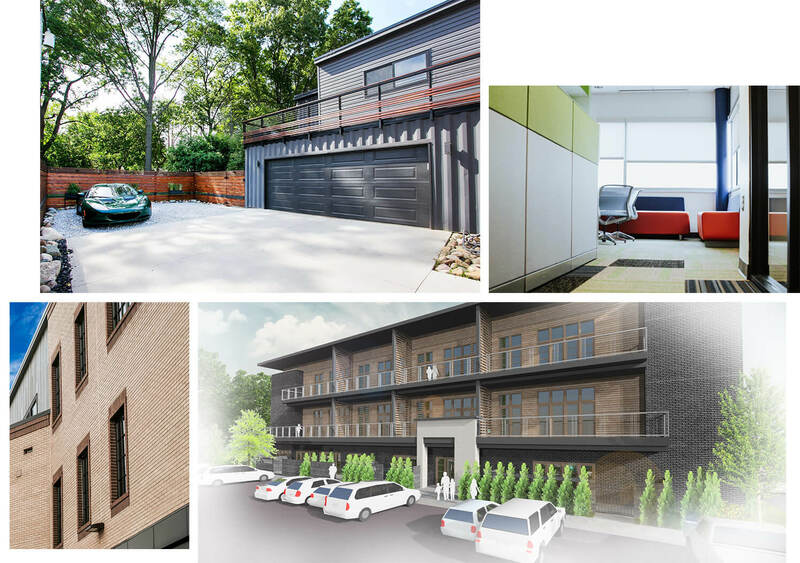 Designhaus is able to help us, as clients, navigate through the design and construction process, and I believe that my partnership with Designhaus has added a great deal of value to all of my projects. Designhaus Architecture designed my R&D campus in 2008. Besides achieving a great place for my staff to work, security was a primary concern. My multi-building location includes an underground Data Center, Lab and Operations Center. We are satisfied with their knowledge of the issue of security, as well as their good design sensibility. Designhaus Architecture proposed ideas that opened our eyes, and within 30 minutes of our first meeting we were ‘thinking out of the box’. For more than ten years, I have been the Access Management and Door Hardware consultant for Designhaus Architecture. My firm designs systems of all sizes around the world, including Asia. In my opinion, based on my past with Designhaus, they have a strong understanding of the issues and solutions concerning access control, security, code compliance, and fire safety. Would like to express my appreciation for the services and support received from Designhaus Architecture. Their professionalism, creativity, and attention to detail are second to none. When many Firms sell you all they can, Designhaus strives to understand your needs and provide the guidance necessary to make your project a success. If more people were as customer focused as Designhaus, we could erase the line in the sand often drawn during the design process. Stanley Brish, Exec. V. P.
We are inspired architects and designers who navigate the complex issues of the building industry. We design and innovate for clients who demand world-class service.